Dies R Us: Christmas Greetings to All! Merry Christmas everyone! Robin here with my Thursday inspiration of the week for Dies R Us and it happened to land on Christmas Day! I'm wishing everyone the best of the holidays for you and your families. For this card I used Memory Box Frostyville Wreath die. I made a white card base and used a red card stock for contrast. I then cut a white piece of card stock slightly smaller than the red and then embossed with a snowflake embossing folder. 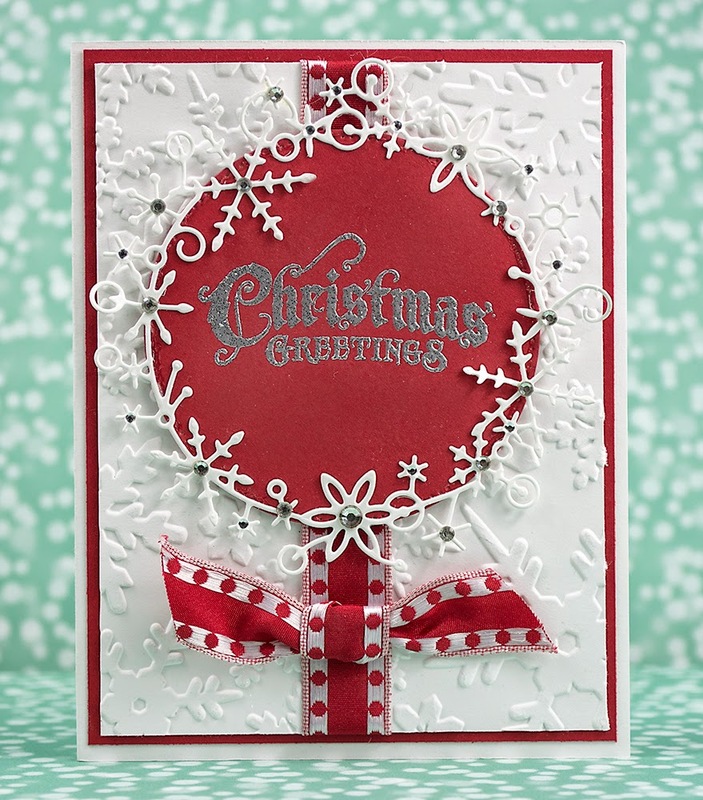 I heat embossed the greeting in silver and cut it out using a circle from Spellbinders Celebration Circles. I then added my ribbon to the embossed card and added to my card base. The red greeting was added with foam pop ups and the Frostyville Wreath was then added to the edge of my red circle. The card was finished with rhinestones.